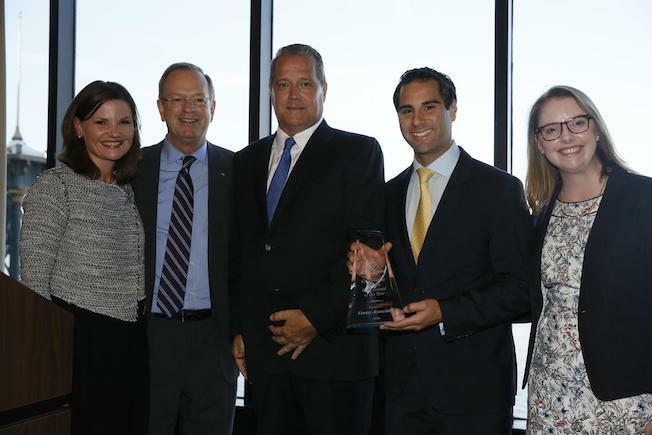 Ventry Associates recognized at Fenway Park. Ventry Associates accepts the 2016 Government Relations Professional of the Year Award from Boys & Girls Clubs of America. Dennis Murphy with (from left to right) Fred Peterson, Deputy Director of the Massachusetts Convention Center Authority, Springfield Mayor Domenic Sarno and David Andrews, President and CEO of the American Hockey League, at the unveiling of the Springfield Thunderbirds, the AHL affiliate of the Florida Panthers, at the MassMutual Center on June 15, 2016. The Homewood Suites by Hilton grand opening ceremony in Worcester, Massachusetts. Dennis Murphy with MMWEC officials and State Representative Tom Golden (middle) at the Berkshire Wind Power Project in Hancock, Massachusetts. Harriette Chandler, President of the Massachusetts Senate, accepts the 2018 Champion of Youth Award from the Massachusetts Alliance of Boys & Girls Club on March 15, 2018 at the Massachusetts State House. (From left to right): Paul Picknelly, Dennis Murphy, Gov. Charlie Baker at the Union Station gala on June 24, 2017 in Springfield, Massachusetts. 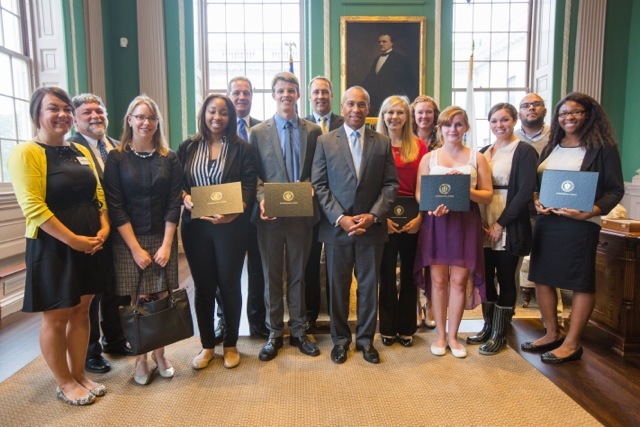 Tierney Flaherty and the Massachusetts Youth of the Year finalists meet with Gov. Deval Patrick. Dennis Murphy speaks at MMWEC’s Municipal Utilities State House Briefing on June 27, 2018. Anthony Abdelahad at MGM Springfield topping of ceremony. Dennis Murphy with Hillary Clinton. 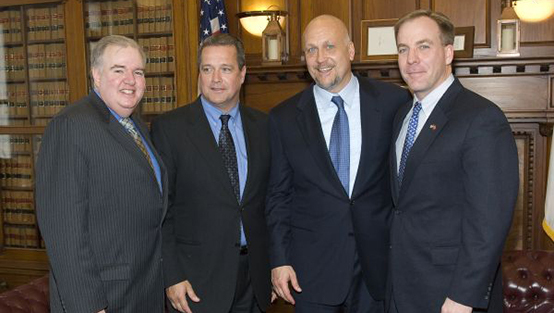 (From left to right): State Representative Kevin Honan, Dennis Murphy, Baseball Hall of Famer Cal Ripken and former State Representative Charlie Murphy at the Cal Ripken Foundation Day at the Massachusetts State House. 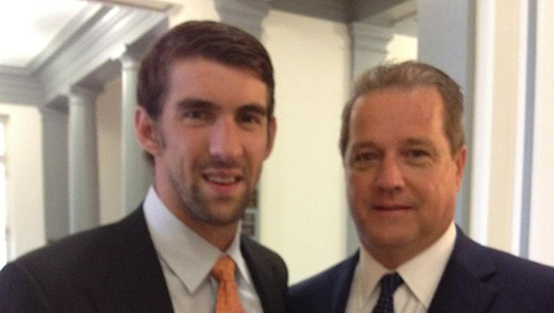 Dennis Murphy with Michael Phelps. Anthony Abdelahad with LeBron James. Dennis Murphy with Denzel Washington. Ventry Associates helped orchestrate the purchasing and rebranding of the AHL franchise, the Springfield Thunderbirds. The team’s unveiling took place on June 15, 2016 at the MassMutual Center in Springfield.